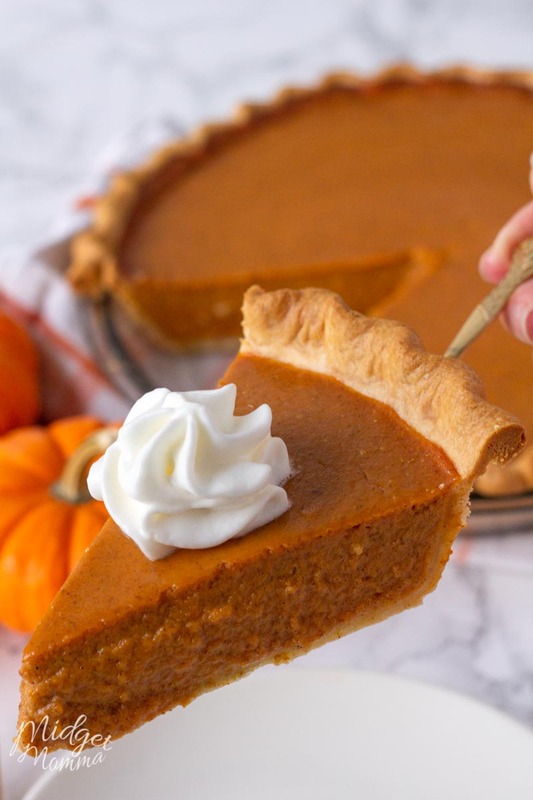 I am in love with pumpkin pie and after making pumpkin pie from scratch for the first time a few years ago I am never ever ever going back to the store bought frozen ones. 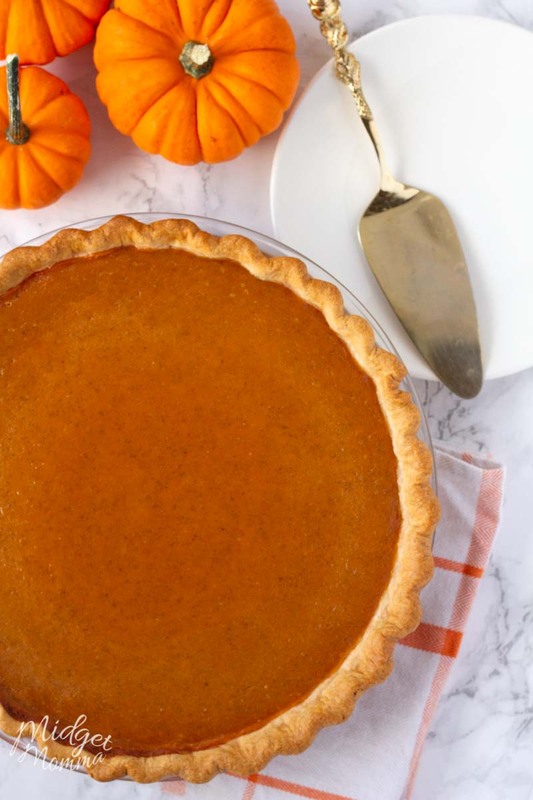 I have a feeling that after you make this pumpkin pie from scratch you will only be making homemade pumpkin pie as well! Seriously there is no way to have fall, Thanksgiving or any fall and winter holiday with out a homemade pumpkin pie in the mix! I just can not do it, it is a staple for fall! In our house homemade pumpkin pie is not just for dessert though. I am totally that mom who lets the kids eat homemade pumpkin pie for breakfast, lunch, snack, dessert… well you get the point! If you are looking for the best homemade pumpkin pie recipe then this is the pumpkin pie recipe for you! 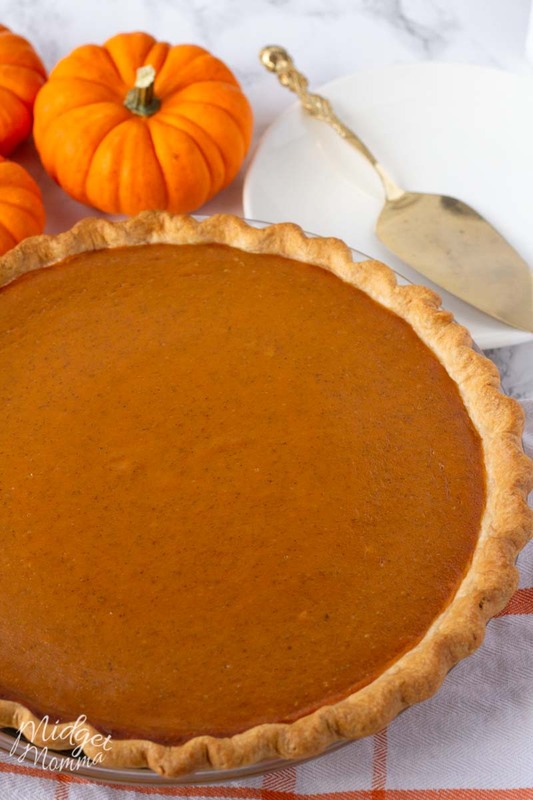 Seriously everyone will love this Pumpkin Pie from Scratch recipe! Now there are a few things that are important to know when you are making a Pumpkin Pie from Scratch. You want to make sure you don’t overcook the Homemade Pumpkin Pie because that leads to the pie cracking in the middle. It won’t ruin the taste of the Pumpkin Pie from Scratch but it will make it not look as pretty. BUT if you do end up with a crack on the top just spread some whip cream on the top and dust with a little cinnamon and act like the crack isn’t even there! Yes I have done that more times then I want to admit, due to baking all of my Thanksgiving desserts with a bunch of kids running around the house. You want to use a pie dish, I personally prefer to use a glass pie dish or a ceramic pie dish when making pumpkin pie. You can use a metal baking dish, but I just don’t like how pumpkin pie bakes in a metal pan. 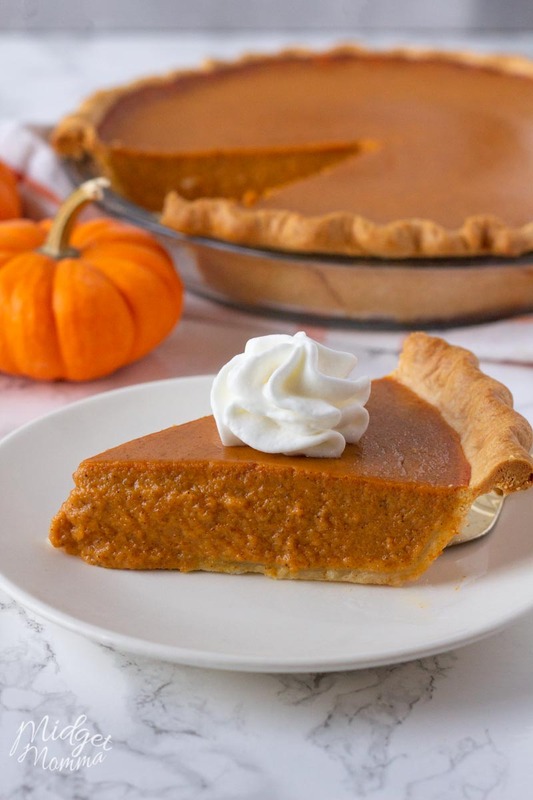 If you are wanting to make a pumpkin pie with fresh pumpkin instead of using canned pumpkin then use the homemade pumpkin puree. 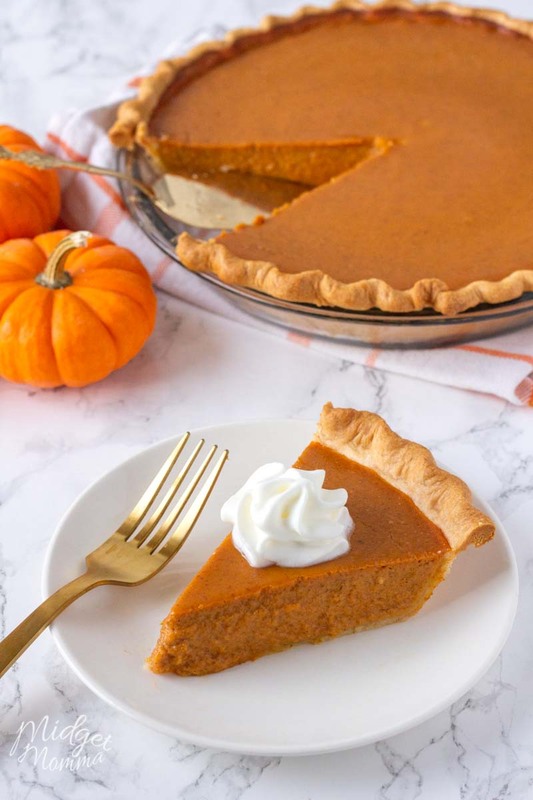 I personally like this homemade pumpkin pie to be made with pumpkin puree instead of using canned pumpkin, but at times when I am short on time I have used canned pumpkin and it still tastes amazing! 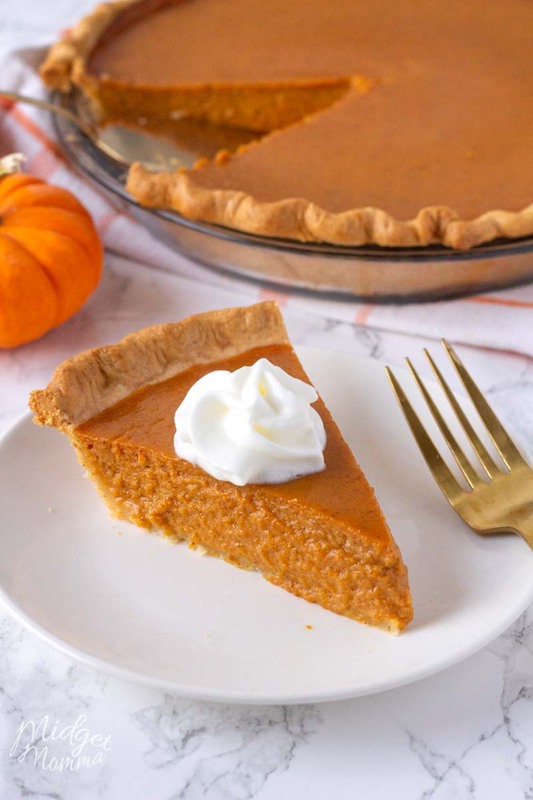 This pumpkin pie from scratch recipe includes using ground cloves, ground ginger and ground cinnamon instead of using pumpkin pie spice. However if you want to you can use 1-3/4 teaspoons pumpkin pie spice instead of the individual spices. 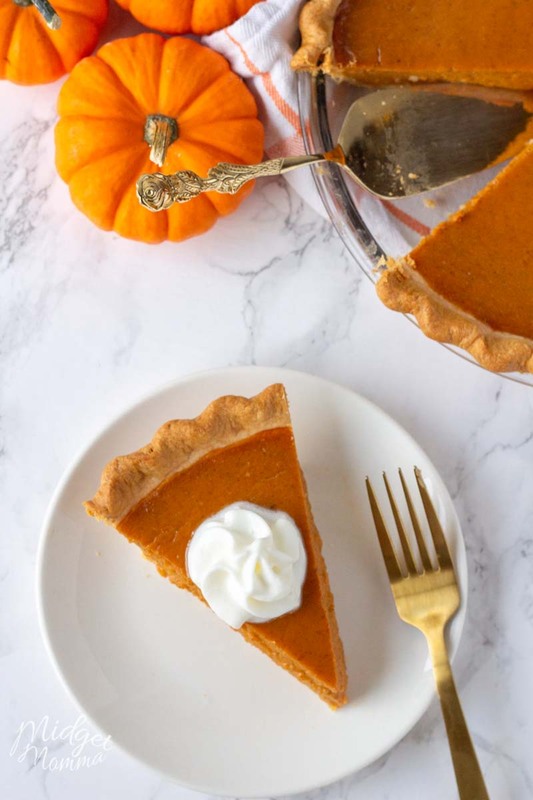 This homemade pumpkin pie recipe is a pumpkin pie from scratch recipe that will totally complete any of your holiday dinners. 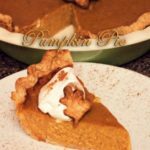 Made with real pumpkin (or canned works too) you will have the most amazing easy pumpkin pie on your dessert table! Mix sugar, salt, cinnamon, ginger, and cloves in small bowl. Reduce temperature to 350 degrees. Bake for 40 to 50 minutes or until knife inserted near center comes out clean. Do not overcook; overcooking leads to pie cracking in the middle. We have a few other must have Thanksgiving dinner recipes, that I am sure you are going to love too. So while you are planning your Thanksgiving dinner, make sure you also check out these other great recipes. Looking for Thanksgiving Recipes? Make sure you check out 65 Amazing Sides Dishes for Thanksgiving! Hi! I just made this and it came out with the consistency of baby food and tasted like squash?! I followed the recipe completely! Any idea what happened?! What brand of pumpkin did you use because i know one brand always tasted off to me. Another weird thing I forgot to mention.. the toothpick came out clean when I tested it. Just bizarre!